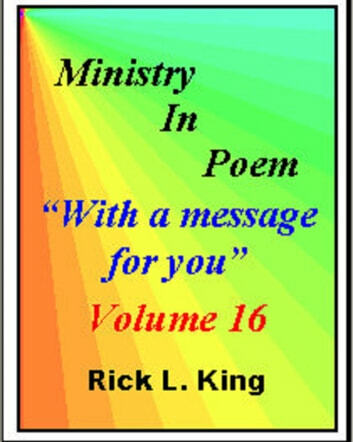 Ministry in Poem is a collection of from 14 to 18 poems that I was inspired of the Holy Spirit to write. 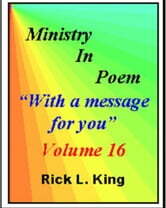 This volume contains 17 poems. Each is of a different subject and will speak to many areas of our life. Others will encourage, and help you gain new understanding of the Lord and some of His ways. As the Holy Spirit leads more will be written and published. Thanks for your support.